I love Jesus’s parables. Simple images and characters from everyday life to create a story and help illustrate His message to us. Parables were shared for those who would have “eyes to see” or “ears to hear” and in order for us to have a clearer understanding of His messages. There are three priceless parables in Luke 15. The Parable of the Lost Sheep, Parable of the Lost Coin, and Parable of the Prodigal Son. To me they are a reminder of being lost, searching, and rejoicing. Where I’ve personally been and a hope for many who are still lost. 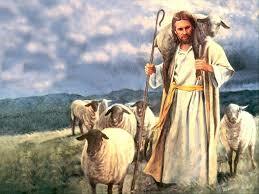 Whether you are the lost sheep, coin, or prodigal son; through Christ we are found. (Amen) Three verses that I want to highlight in each of these parables helps me to understand who God is and what his kingdom is like. Are we trying to rescue like the shepherd? Do we search for those lost throughout the day like the woman? Do we forgive others like the father?